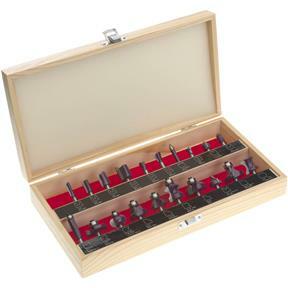 This 1/4" Shank- Micro Grain Carbide Set includes the following router bits along with a wooden storage case. 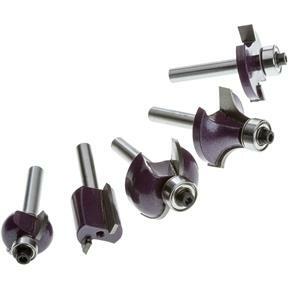 I have used the router bits am quite pleased whit them. I made a large order from Grizzly.com and I'm very happy with the products, but even more happy with the customer service. When I called they were so helpful and went out of their way to help me....they went the extra mile. Thank you. I would definitely recommend them to anyone.